Porto Heli is a town located in the southern region of Argolida with a population of about 2000 inhabitants. It is one of the most cosmopolitan holiday resorts of the county and one of the most popular resorts of the Peloponnese. As a result, the locals are active mainly in tourism. 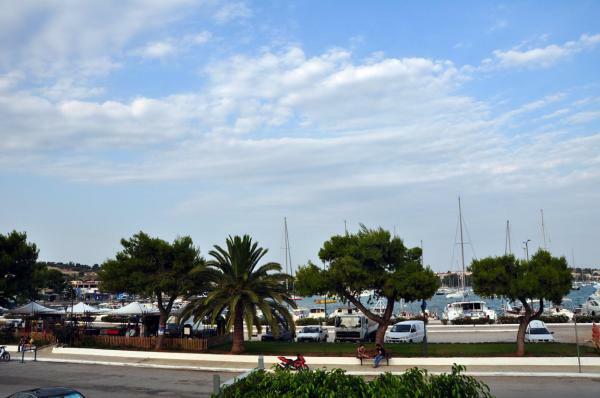 The port is connected with Spetses, while the marina in the summer is filled with yachts from all over Greece and beyond. 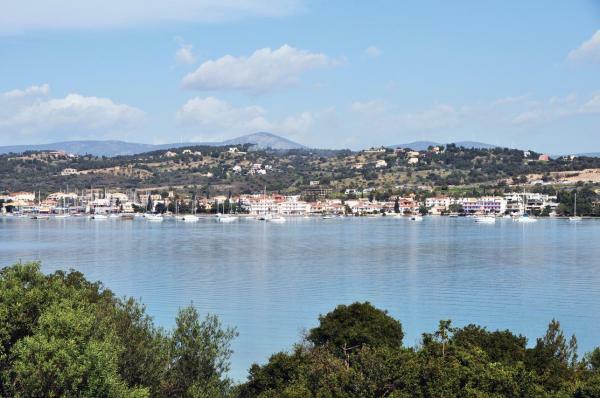 Porto Heli is about 175 km from Athens. You can take the National Highway (Ethniki Odos) Athens - Corinthos. Once you reach the Corinthos Canal, follow the signs for Ancient Epidaurus. After passing the forest of Sofiko, you reach the bridge to Epidaurus, where you turn right following the signs to Porto Heli. Also, the Bus Service (KTEL) has frequent daily services from Athens (210.51.34.588) or from Nafplio (27520.27.323). 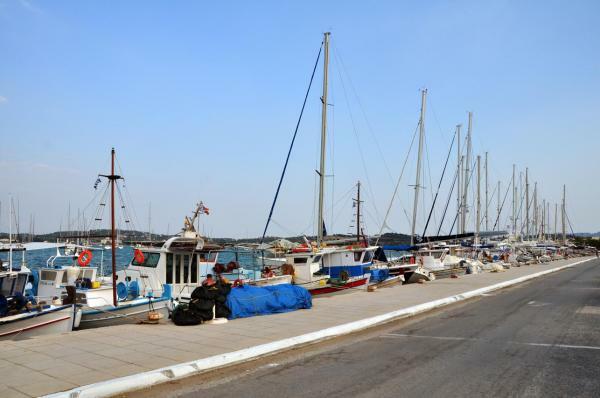 You can also get to Porto Heli by sea from the port of Piraeus (tel. 210.41.99.000). Hydrofoils depart daily from the port stopping at islands of the Saronic Gulf, including Porto Heli (tel Limnenarcheiou 27540.53.333). There are two theories about the modern name Porto Heli. Firstly, the name Heli derives from the ‘Arvanite’ dialect, as there are many villages in the Peloponnese with this name. The other version is that it originates from the corrupted name of the nearby ancient city Allieis (fishery), becoming Halieis, and finally Heli. In both cases the prefix Porto, meaning harbor, was added later. In the ancient city, there are traces of history which goes back in time. At around 468 BC, Tiryns reached the area and founded the city Allieis, which had an important commercial port. The main occupation of the inhabitants was fishing from which the name was derived. The fishermen had built workshops used for producing dyes (the processing of which was a secret recipe), and olive presses. A few years later it became a loyal ally with the Spartans. From 425 to 424 BC, the Athenians occupied the area and installed guards which remained there until the late fifth century. In the late 4th century BC, they started cutting their own currency, but that is when the area began its decline. 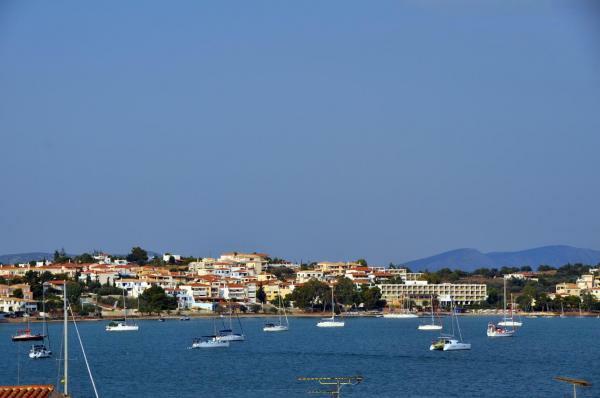 During the Venetians, Porto Heli or Porto Bizato was used as a port by the Hermionidas navy. 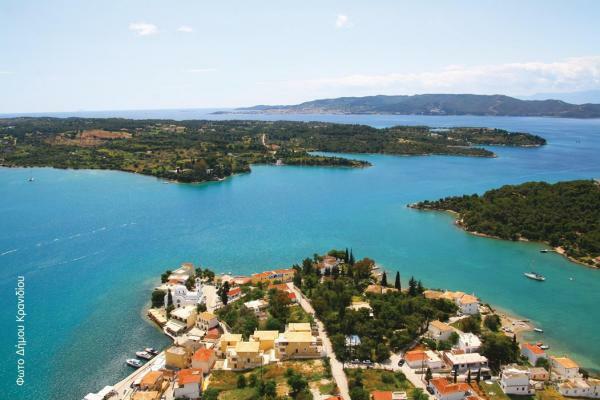 Indeed, it is one of the six ports of the Peloponnese included in the Venetian maps of the 18th century. The Art and Culture Festival: It Started in 1990 and now collaborates with worldwide renowned organisations. Concerts, exhibitions, seminars and conferences are held every year as part of the festival. Another fun and exciting event is the Carnival, which is a public celebration with a parade, street party, masquerades and masks, carnival songs, dances and lots of fun for everyone. 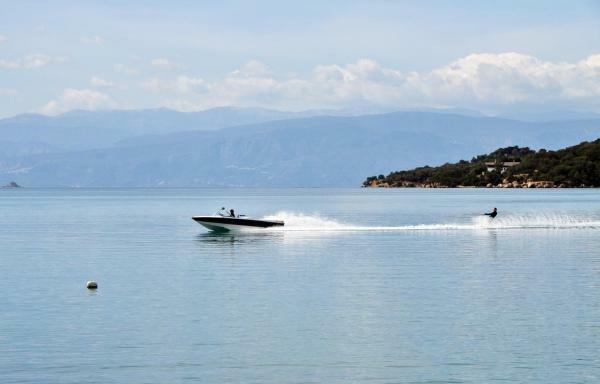 Every two years, the (Naftiki Evdomada) Marine Week is organised with a variety of competitions; sailing, windsurfing, water skiing as well as water polo. The events take place in July and end with the awarding to the winners followed by a celebration. The "Burning of Judas" is a custom still held every Easter Sunday in Porto Heli.